Every now and then I get something published. 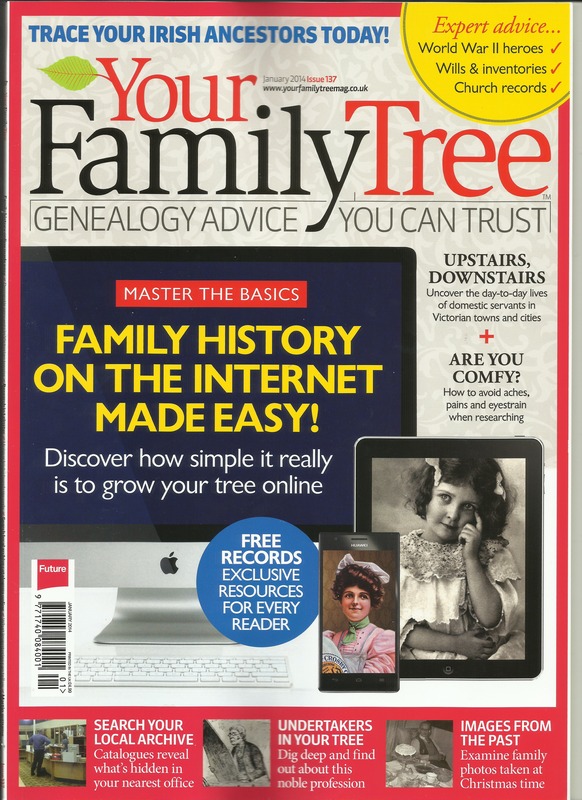 Here is a selection of articles from Family History and other magazines. 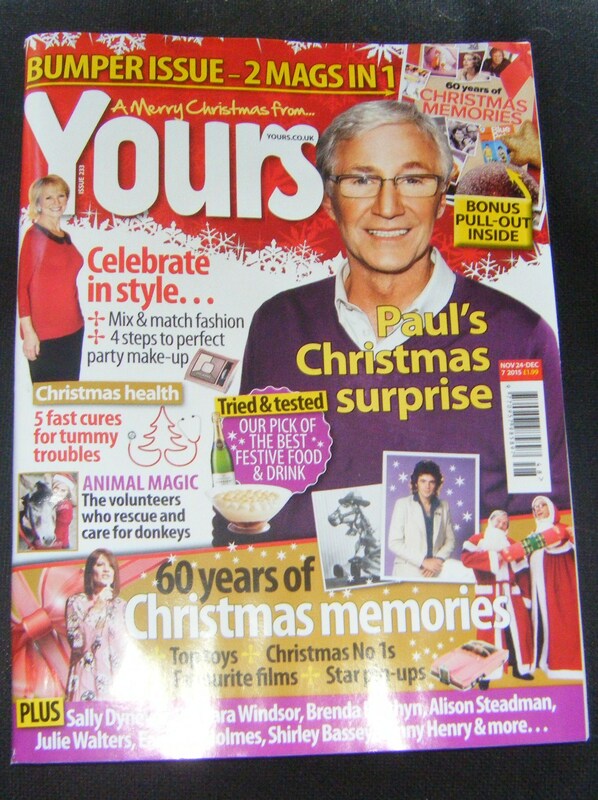 In ‘Yours’ magazine, December 2015, Issue 233 there are a lot of articles about Christmas. Indeed the main one is called ’60 years of Christmas memories’ and includes a little photograph of me, aged three sitting on Santa’s lap. I look very uncomfortable, and remember feeling quite scared. 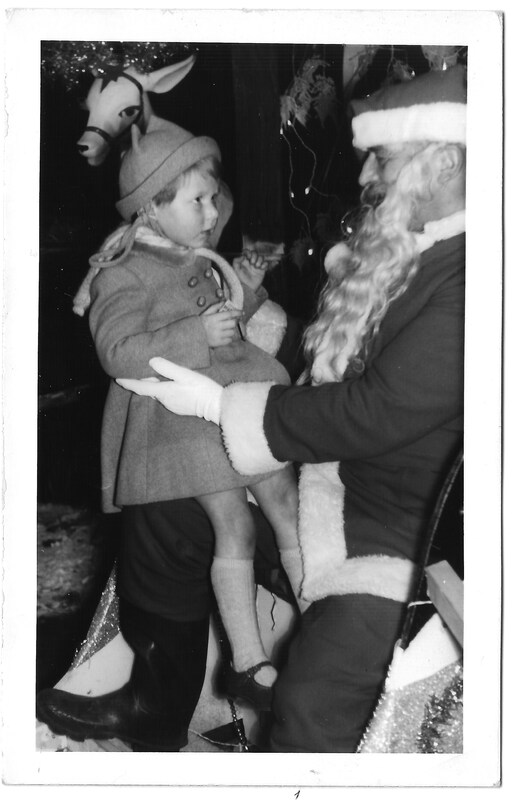 Of course I grew to love Santa as I realised he brought presents every Christmas Eve! This photograph was taken in one of the big stores in Brighton, I think it was Wades, and it was 1961. I think a little bit of me still believes in Father Christmas, and I always wake on Christmas morning with an expectation of a sack of presents at the end of my bed! 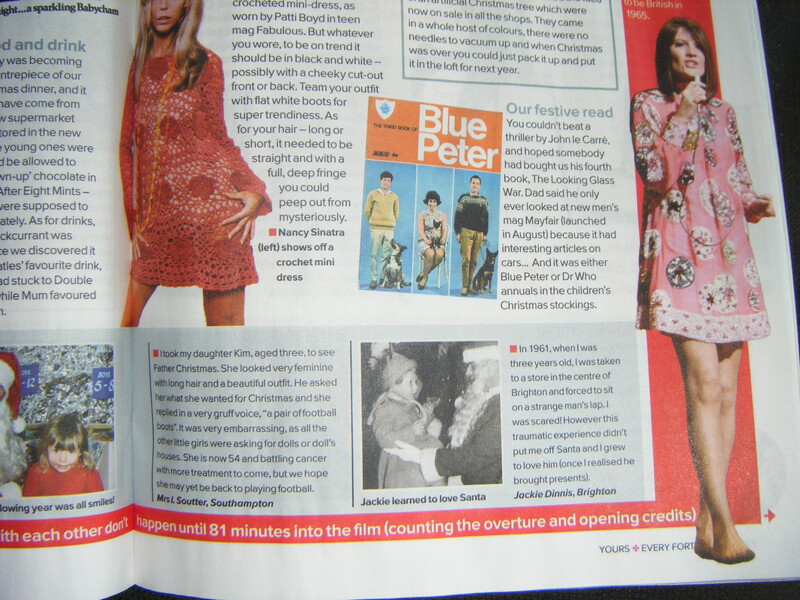 This was a three page article in ‘Your Family Tree’ issue 134, October 2013. It was under the title of a Case Study and I called it ‘Coming of rage’ because it was all about my Dad’s 21st birthday. He spent it in a hospital in Italy after being badly injured in his right shoulder from shrapnel in 1944. 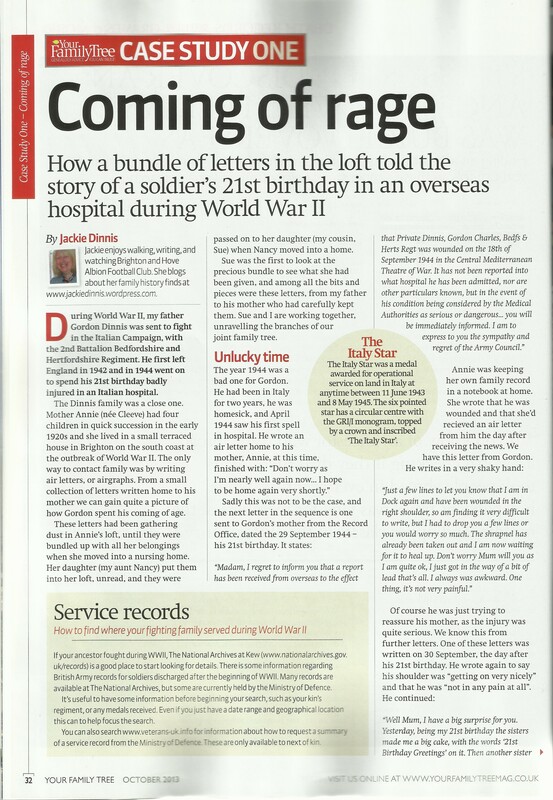 The main force of the article was due to the fact I had found some of the letters my father (Gordon Charles Dinnis) had written home to his mother at the time. 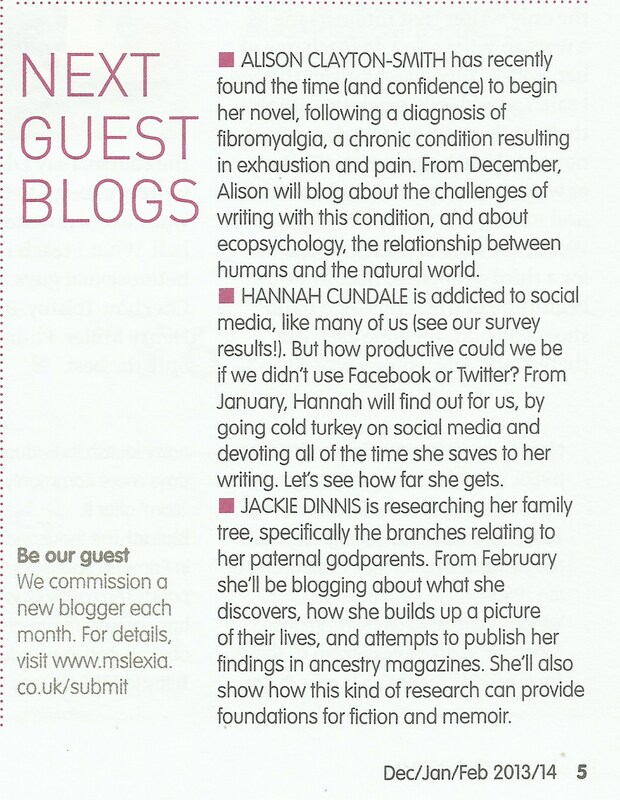 Following on from this article I followed it up with another one in ‘Your Family Tree,’ issue 137 January 2014. 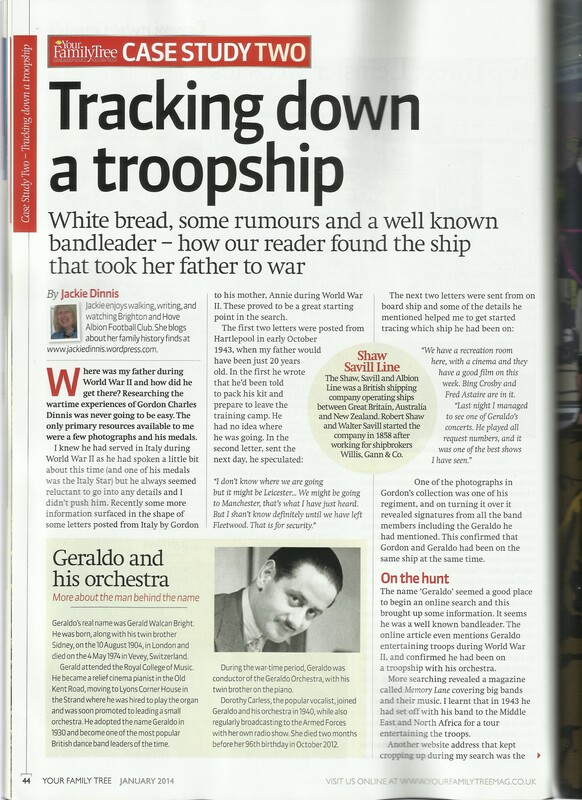 I had done more research and managed to find the troopship that took my father to war. I did this via a journey of white bread, a famous band leader and letters, photographs and autographs. I found a postcard of the Dominion Monarch, the troopship and this was enough to fill another three pages of the magazine. September 2015 saw a two page article in ‘Who Do You Think You Are’. This was under the title of ‘My Eureka Moment’ and showed how I progressed after hitting the proverbial brick wall with my research. 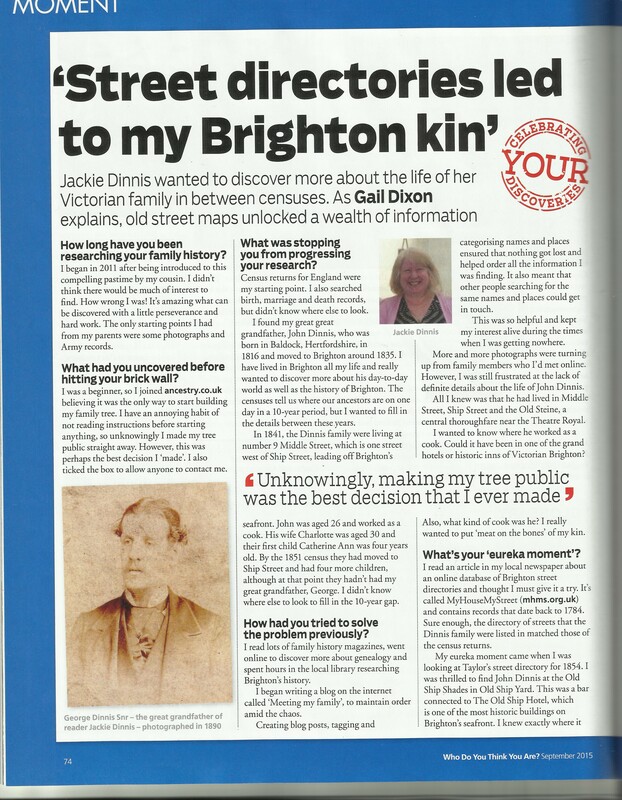 I explained how the use of Street Directories had helped me trace my family in between England Census documents. I find these directories so useful and interesting, seeing who lived in the same street as my ancestors and what their occupations were. 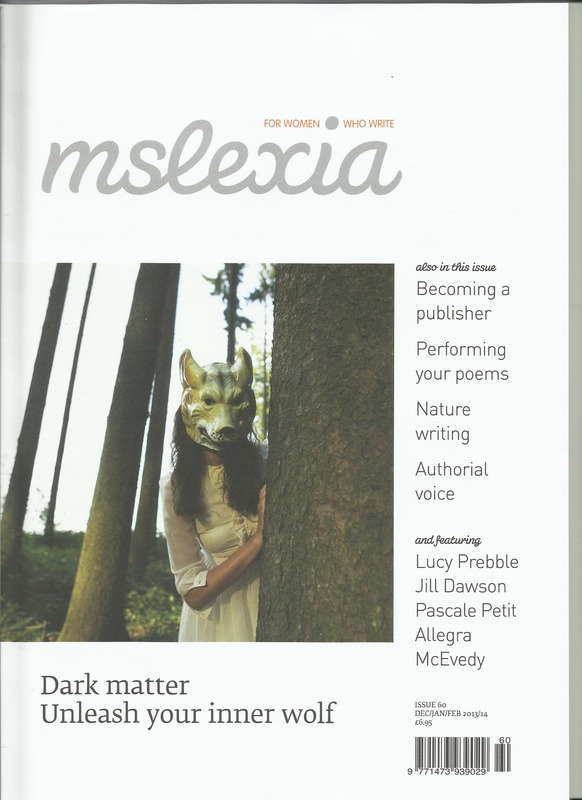 I have also had this blog featured in many places, including ‘Family Tree’ magazine and MsLexia (female writing magazine) where I was a blogger in residence for three months. It is incredible that you have been able to dive into this history! I would love to do more of that myself. Congratulations on your story being published! Thank you! I write a lot of stuff but the family history is the only one I’ve had any luck getting published.